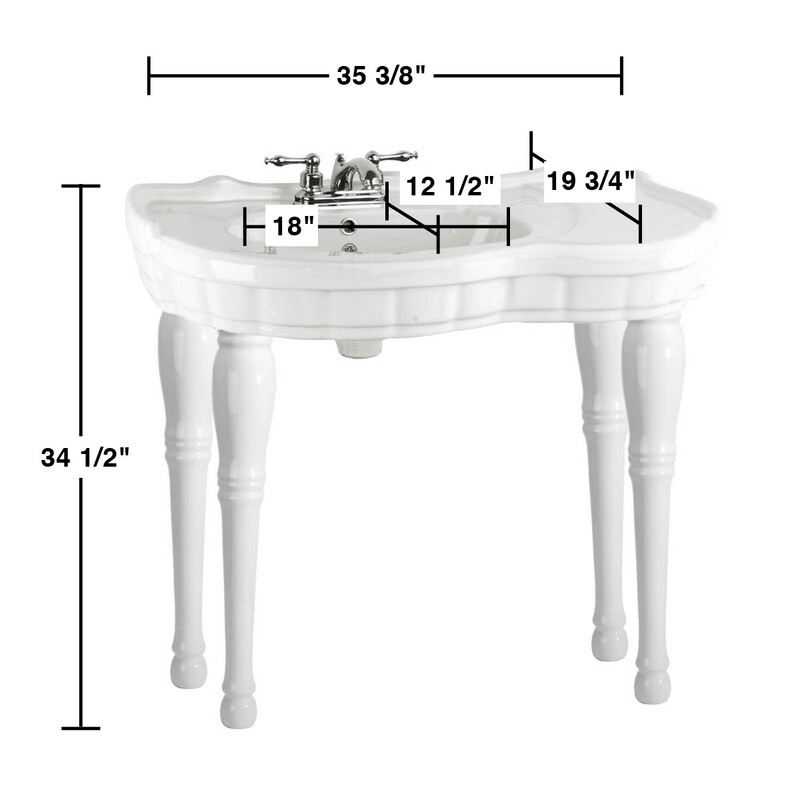 SOUTHERN BELLE FOUR Spindle Style Legs 34 1/2 in. H x 35 3/8 in. W x 19 3/4 in. proj. Southern Belle Console Sink captures the elegance of the old south spacious countertop that is guaranteed to spread a special charm to your bath. 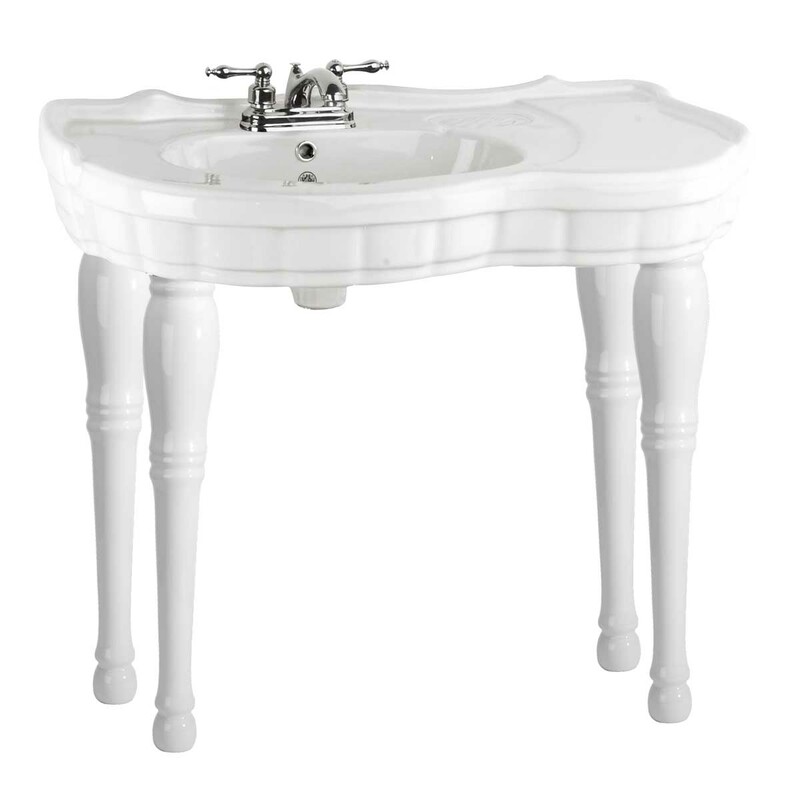 Obtain your top quality and hard to find Spindle Leg Sink here today. Features: - Elegantly tapered wooden birch spindle legs. - Self-draining soap dish and protective splashguard rim. 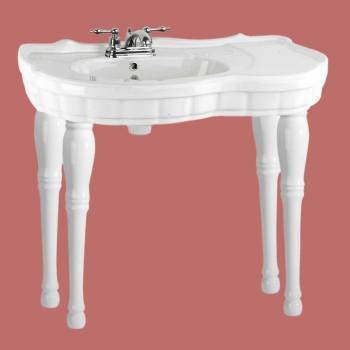 - Grade A vitreous china construction with a SCRATCH and STAIN resistant RENO-GLOSS finish. - Accepts an 4 in. 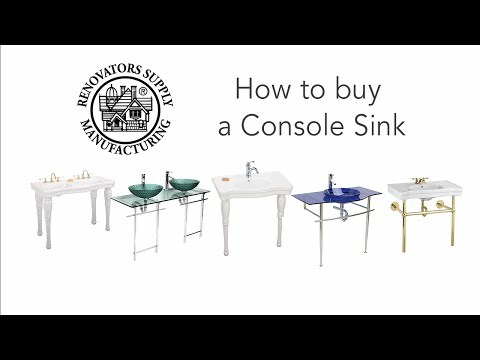 widespread faucet, sold separately. 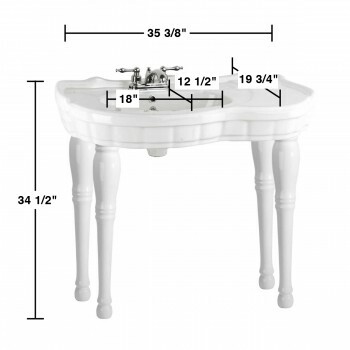 Dimensions: - Measures 34 1/2 in. H x 35 3/8 in. Item ID 16847Features Authentic Renovator's Supply Logo.